Barcelona have moved back to the top of the LaLiga table, following an emphatic 5-1 victory over rivals Real Madrid on Sunday. With the El Clasico missing regular headliners, Lionel Messi and Cristiano Ronaldo, it was Philipe Countinho who opened scoring. Luis Suarez doubled Barca’s lead from the spot, but Marcelo pulled one back after the break. 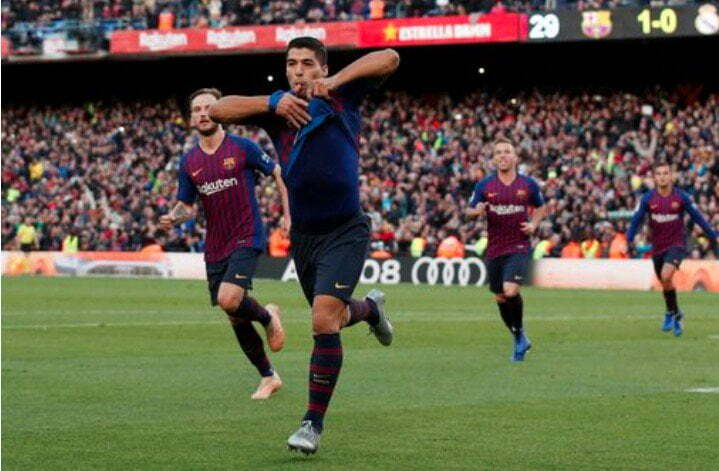 Suarez however scored twice again, but Arturo Vidal sealed the win. Ernesto Valverde’s men now have 21 points, seven more than Real, who occupy 9th position.